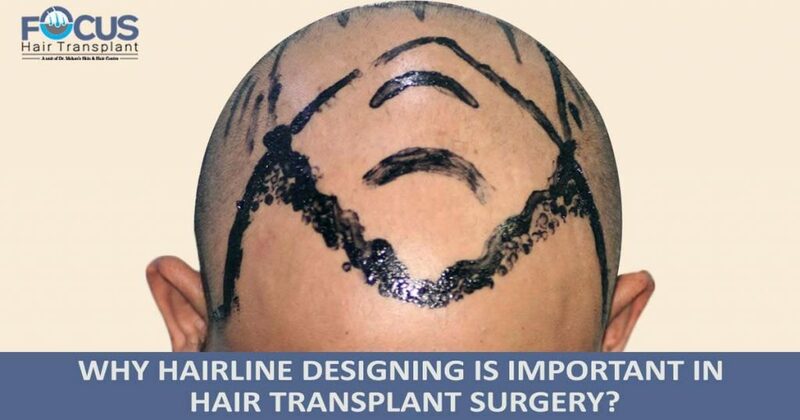 Why hairline designing is important in hair transplant surgery? You must choose the surgeon on the basis of his experience and efficiency. Do complete research and homework before going for hair transplant surgery. All these things are to be done on patient’s end to get the best treatment. More than 50% contribution has been done from the surgeon’s end to give best transplant results as only doctor’s wisdom, experience and artistic approach can give you best ever results after surgery. Designing of the hairline is one of the doctor’s homework before surgery that can make difference to your after results. Why is hairline designing important? Lack of designing of hairline before surgery can leave the patient with bad hair transplant results. With badly designed hairline patient can have inappropriate growth of hair over the time which looks extremely unnatural. Hence hair line designing is the crucial factor that needs to be considered when we seek for natural and undetectable results of surgery. What involves in hairline designing? While designing the patient’s hairline it is important to examine the existing hair of the patient and amount of hair loss. As the availability of donor’s hair and the extent of, hair loss can affect the number of grafts that can be extracted for restoration so it is important to factor to consider before surgery. Pre-designing of patient’s look after surgery also gives the surgeon estimate about the transplantation of hair for natural-looking results. With the pre-planning of surgery, the surgeon can take the estimate about the requirement of grafts for transplantation to give the best look to the patient. Moreover, it is important to consider a patient’s desire to have after surgery look so that the surgeon’s estimate could match with his desires. Patient’s age, facial features and dimensions are also important factors that could affect the hair transplant designing. How we ensure best hairline designing to give aesthetic look to a patient? We ensure the patient could have desired and realistic results after transplantation so in the pre-consultation we discuss the patient’s requirement and expected results so that the best match of both can be achieved. Our experts put their extravagant efforts in transplantation surgery and pre-planning of the surgery along with the blend of art and science during transplantation so that patent could get undetectable results. Our surgeon strives hard to give best-transplanted hair that mimics the existing results so while transplantation of grafts they keep in mind the direction and angle of existing hair so that they could transplant grafts in the same direction and angle to let them grow with the natural look.